Hugo Cancio speaking at the Orange Economy symposium last Friday at Broward College. Few entrepreneurs straddle the Florida Straits as masterfully as Hugo Cancio. Cancio arrived in Miami from Cuba 36 years ago during the Mariel boatlift. Today he's one of America’s most high-profile business liaisons to the island. 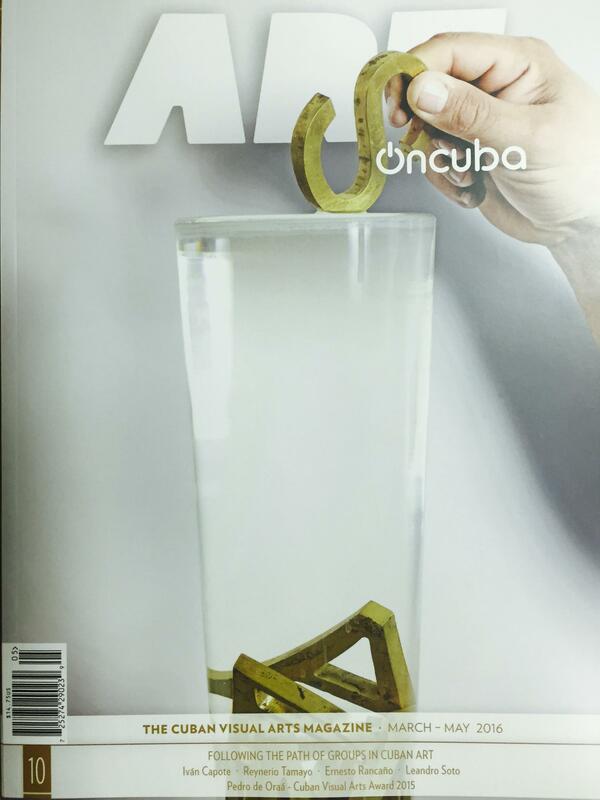 His flagship company, Fuego Enterprises, deals in publishing – it's launched a new magazine, ART OnCuba – as well as music promotion, telecom and finance. But skeptics say Fuego enjoys more publicity than profits. And after President Obama’s historic visit to Cuba two months ago, many question whether the Cuban business scene is really all that promising for Americans. WLRN’s Tim Padgett spoke with Cancio about expectation versus reality last Friday at the "Orange Economy" Symposium at Broward College in Davie. Cancio was the featured guest of a forum (that Padgett helped moderate) on U.S.-Cuba business and cultural ties. You left Cuba in the Mariel boatlift in large part because you got kicked out of school for telling a joke about Fidel Castro? If I knew that coming to the United States would be the outcome I would have told that joke when I was 5 years old instead of 15. My father at that time was a famous Cuban musician and my mother had a wonderful music career. But she made the decision I had no future in Cuba and so she left all that for us to cross the Florida Straits and give me and my sister a better life. I think subconsciously the sacrifice my mother made for me is what has motivated me to succeed in business - not to let her down. The Cuban government was still very homophobic then, and we were told the only way that we could qualify to get out of the country [was for me to] go before the military tribunal and say [I was] a homosexual. So that’s what I did. I was a homosexual for 24 hours. And here I am. You’ve criticized Cuba’s repression of dissidents. But you also condemn the U.S. trade embargo against Cuba and you’ve said you admire Castro. How do you maintain that balancing act? Well, I didn’t say I admire Castro – I said I admire his tenacity. But I don’t think it’s a balancing act. I think it’s just being genuine. I criticize the bad things both governments do. President Obama has chipped away at the embargo significantly since the two countries normalized relations a year and a half ago, but would you say the level of business between the U.S. and Cuba is meeting expectations or falling short? I think it’s falling short. And I think that’s in part because there’s still an economic embargo. So there’s only a few categories approved by the Obama administration to do business in Cuba. On the Cuban side, they’re still picking and choosing who they do business with. You have got to understand that there’s been 56 years of hostilities between the two countries. And now American companies are rushing into Cuba – and learning that there is a lot of relationship to build, a lot of hardship and a lot of misunderstanding to brush aside. I also anticipate that the Cuba that will flourish in the near future is not where you will see a thousand McDonalds. It’s socialism evolving into something else, but it’s not going to be the kind of capitalist system we have in the United States – or the Cuba that existed prior to 1959. Last month’s Communist Party Congress in Cuba didn’t inspire a lot of hope in that regard. More conservative Cuban leaders seemed to block any expansion of the kind of private entrepreneurship that you want to promote there. What’s your assessment of what’s happening there? You know, I like the Cuba that I’m seeing today. A few years back, the Cubans would have said, “We’re closed for business; we don’t want any relationship with the enemy.” Today there’s a debate. There’s a group of people opposing the new Cuba that is emerging. But at the same time, a different generation is saying, “We disagree and we want to go in this direction.” And what the government says and what I’m seeing on the ground are totally different. Private entrepreneurship is flourishing in Cuba. So what’s your secret? How do you deal so successfully with Cuban officials when so many other investors fail at it? I love Cuba. I love my country of origin. I know how to talk to people there. I understand where they’re coming from. And I’ve been doing business in Cuba for over 25 years, so I have a certain credibility. At the same time, even some of your biggest supporters here say they're skeptical about Fuego's return on investment. In earlier years we were building the company quietly and positioning ourselves in Cuba and we were in a non-reporting status. Today our financial statements have been filed and show we're in a sound direction. 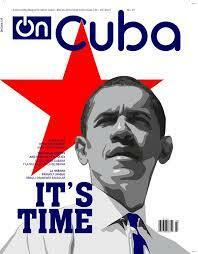 You’re perhaps best known for your lifestyle magazine OnCuba. Why do you think it’s popular? The key to our success is that we found a space between Cuban state media and American media to give everyday Cubans a voice. I’m not defining myself pro-Cuba or against Cuba based on people’s ideological tendencies. I’m not Miami Cuban or Havana Cuban. I am Cuban, 100 percent. Since the U.S. and Cuba normalized relations, we’ve seen a lot of dialogue between government officials and business executives. But what about artists? Fifteen artists from Cuba are in Miami this week as part of a new exchange project called Dialogues in Cuban Art. It’s organized by the Perez Art Museum Miami (PAMM) and Miami art curator Elizabeth Cerejido - and it’s brought Cuban and Cuban-American artists together to share not just styles but also ideas about the role art can play in this new era of U.S.-Cuba relations. I’m eating crow on both sides of the Florida Straits today. I owe an apology on this side to the Carnival Corporation. And one al otro lado to the Cuban government. I wrote a column this week predicting it would snow in Havana before Cuba changed a rule that barred anyone born in Cuba, including those living in the U.S., from entering or leaving the island by ship. On Saturday, Cuba’s communist leaders will launch their seventh party congress – a gathering to set the island’s future political and economic course. It will run through Tuesday, April 19. The last congress was held five years ago – but since then, Cuba has normalized relations with its sworn cold-war enemy, the United States.